Finally a tool that simplifies the construction of the Diamond Square unit without paper piecing. 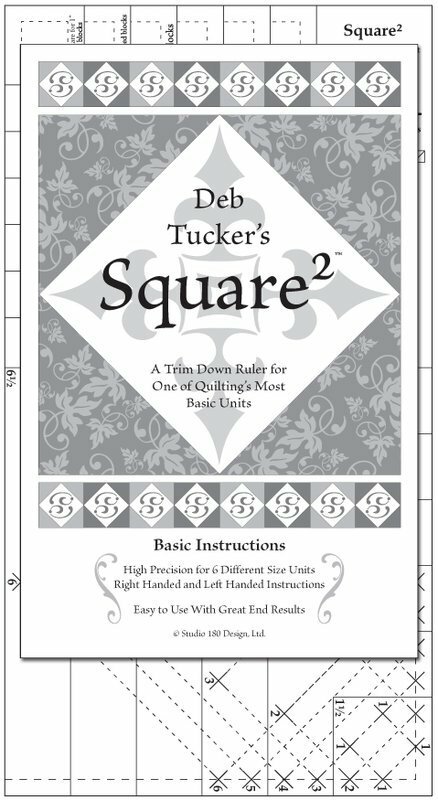 It is an all-in-one tool that gives you a window template for accurately cutting the center square a chart printed right on the ruler for the recommended size. Right handed and left handed instructions.